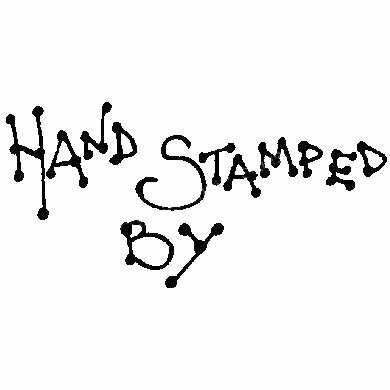 Wood mounted Stamp with the words "Hand Stamped By". Leaves an impression of approx. 3cm x 1.5cm. Great for craft sellers!